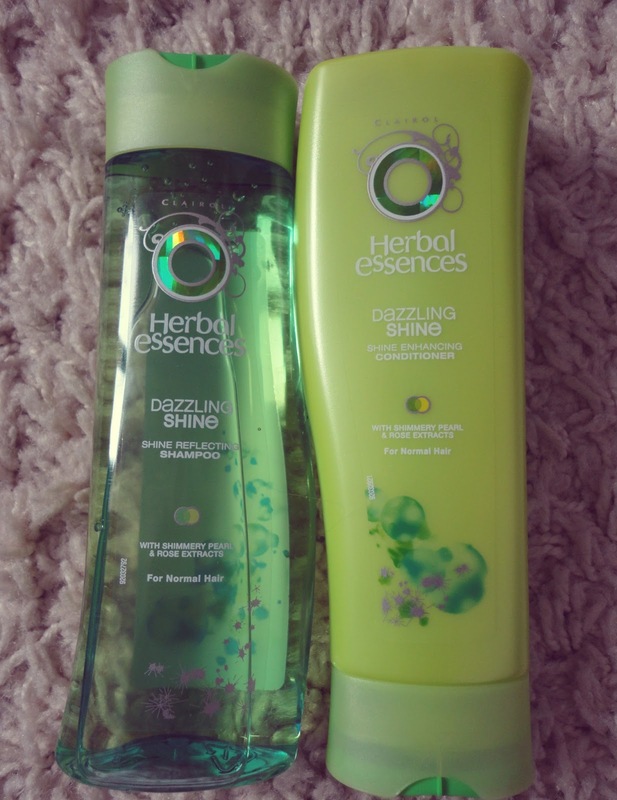 After lusting after the perfect shiny hair shown off by the likes of Miranda Kerr, I thought I would try the Dazzling Shine range from Herbal Essences. I've been trialling it for around 6 weeks now - I can't remember the exact date! By this, I mean I used the shampoo and conditioner whenever I wash my hair and the mask once a week for around 15 minutes. I really like the packaging of this range - the shampoo and conditioner bottles fit together like a jigsaw so satisfied my OCD! 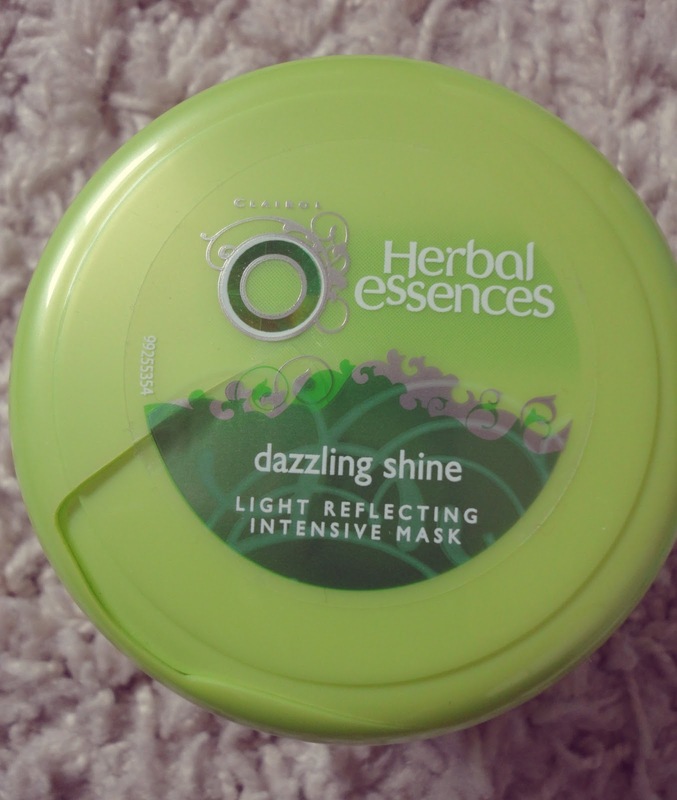 Unfortunately I noticed the lid of the mask had cracked when I got it home but the product was fine. However, I like the tub and you do get a lot of product in it. Also, the smell of these products is amazing. If there's one thing I love, it's a great smelling product. I would say it's mostly an apple scent, with raspberry hints. I found these fine to use but I don't think they were anything special. 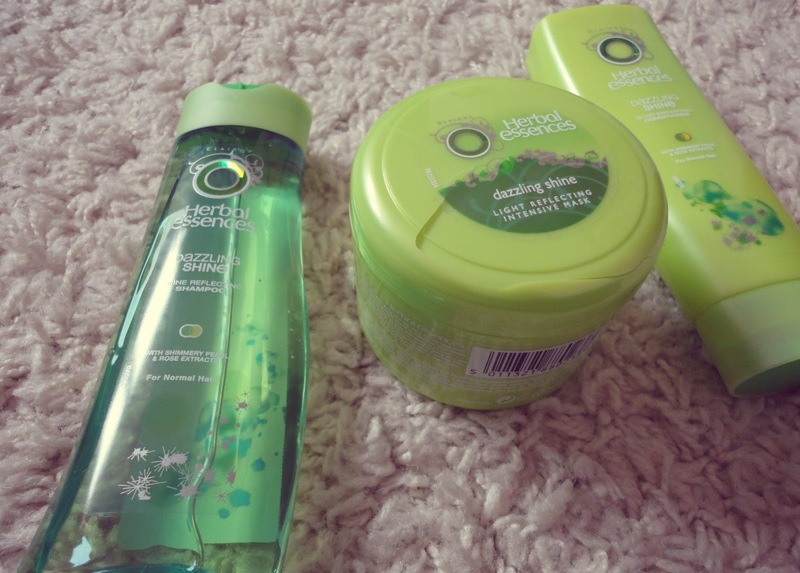 I personally didn't think they were very lightweight, so it wasn't fantastic for my thick hair. Also, the 'shine' aspect was completely lost I think. When I blowdried my hair after using these products, I didn't really notice any huge difference in my hair and so would favour my Aussie Shine 3 Minute Miracle any day! 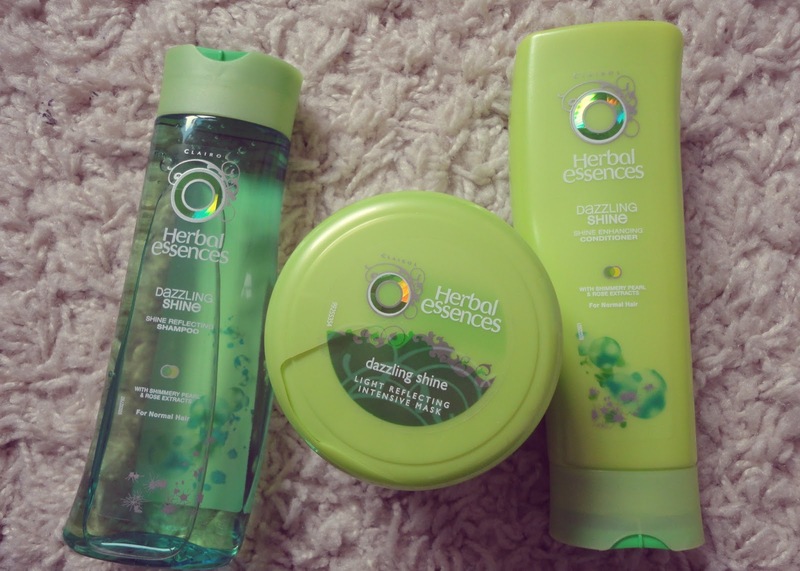 To be honest, the only thing I really liked about these products was the scent! I have to say, I did like this hair mask. First of all, as I mentioned above, you get a lot of product for your money. As I have very thick, long hair, some hair masks are gone after 3 uses which isn't great value for money. However, I have used this mask at least 4 times now and there's still plenty of product left! By using this once a week, I do think my hair was a lot softer and smoother. Still not sure about the 'shine' aspect but I was still impressed with the conditioning qualities so would still repurchase.